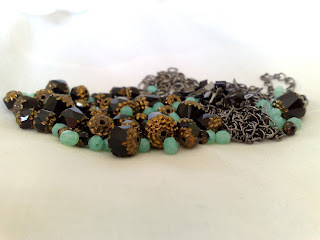 I saw these beautiful black beads with some golden accents and I fell in love with those. I bought those in different sizes so now I have 10mm, 8mm, 6mm and 4mm ones. 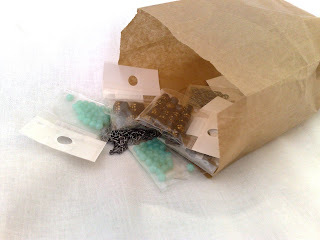 I also bought some small (4mm) mint green beads. 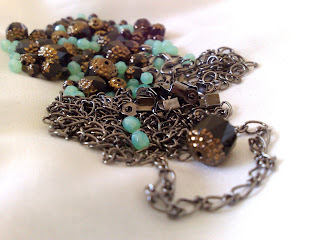 And also some fasteners, loops and chain.